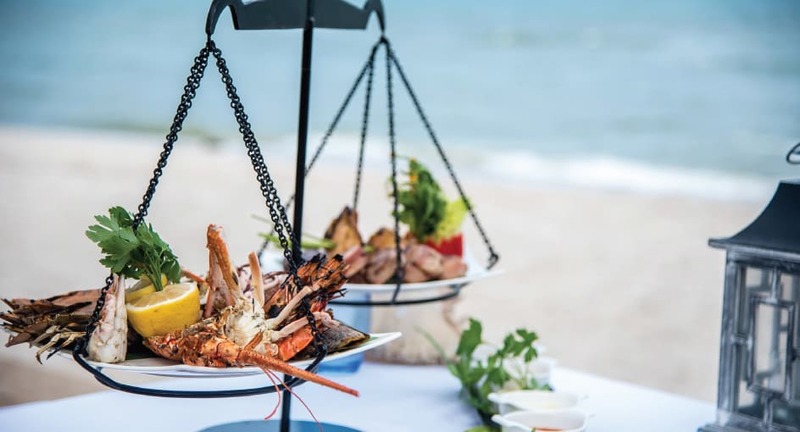 Private dining experiences in Hua Hin. Choose your setting for romance, from lagoon gardens lit by hanging lanterns, to a table or sala on the beach. Dine on exquisite seafood, Thai or barbecue menus, or create your own with your personal chef. Pair each dish with recommendations from the Wine Guru, and enjoy exceptional service from your butler for the evening.